Choose this product if your Monthly GrowJourney Subscription will be SHIPPING TO CANADA. Yes, we can ship to Canada! However due to the higher cost of shipping to our Northern friends, we are unable to offer free shipping to Canadian members at this time. 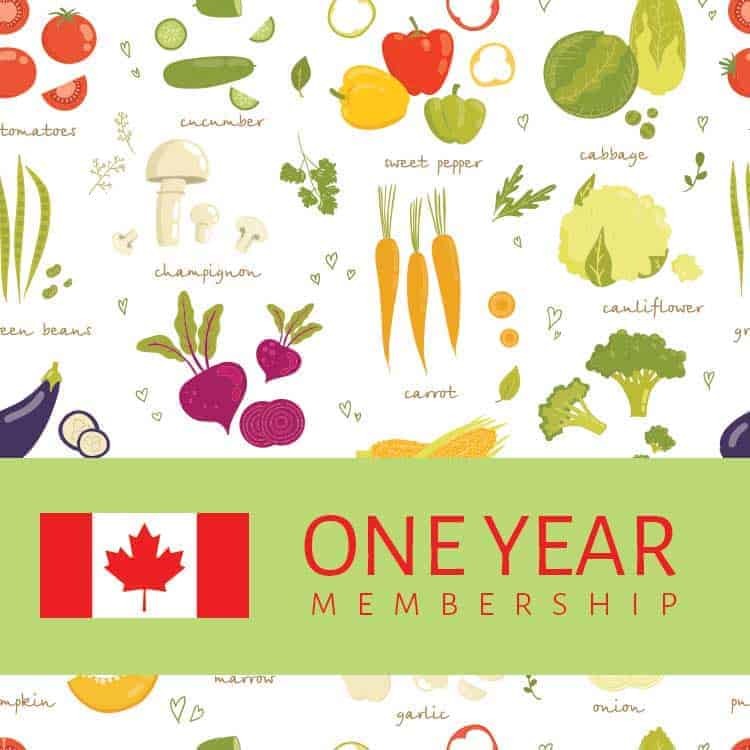 The Annual Canadian Small Garden Subscription price is $161 USD, which includes the $60 in Canadian shipping charges ($5/mo for 12 month). If you are shipping within the United States, please go here to choose a personal membership or here for a gift membership. Three carefully selected seed packets, including choice fruit, vegetable, herb and flower seeds (never the same seed variety twice in any 12 month period). GrowGuides™ filled with expert growing, harvesting and seed-saving instructions to help you discover and develop your green thumb. QuickGuides™: printable, at-a-glance instructions that make growing each GrowJourney seed variety simple and easy. GrowPlans™: expert garden designs to help you plan your garden or edible landscape with your new GrowJourney seeds. Yes, we can ship to Canada! However due to the higher cost of shipping to our Northern friends, we are unable to offer free shipping to Canadian members at this time. The Annual Canadian Small Garden Subscription price is $185 USD, which includes the additional Canadian shipping charges ($7/mo for 12 month).